Did you know a portion of Great Forest’s profits support cleanup work in some of the world’s worst polluted places? We do this through the nonprofit Pure Earth, founded by Great Forest President Richard Fuller. And this year we joined the global #BeatPollution campaign to make an even bigger difference. In October, Great Forest CEO Ross Guberman and Anna Dengler, V.P. 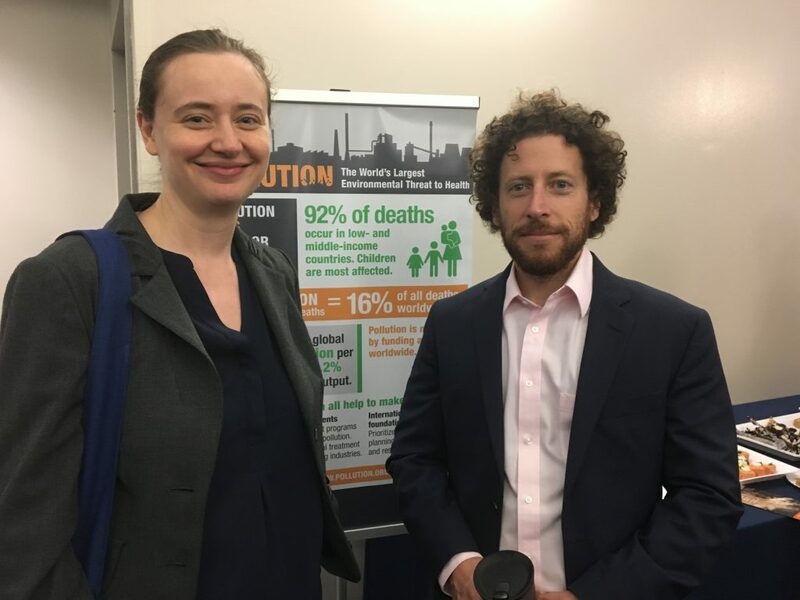 Business Operations, attended the launch of the report from The Lancet Commission on Pollution and Health, on which Richard Fuller serves as co-chair. The report’s findings created an international buzz, reaching over 2 billion people worldwide, raising awareness about pollution’s deadly toll and economic cost. What we all do next matters, as detailed in Richard’s open letter. As our sister nonprofit works to make a difference globally, Great Forest is continuing to make an impact locally, all across the country. This year we diverted over 15 tons of usable materials from landfills through donations to various organizations. We helped clients identify thousands of dollars in savings, from 33% to 75% and more. From the hundreds of waste audits we performed, we released a study that revealed that 77% of what is usually thrown out as trash is not trash at all. We helped drive waste management out of the stone age with Enevo’s high-tech sensors, delivering success at over 300 locations. For the second year in a row, Great Forest received a Daylight Hour Award, this time for Best Monitoring and Analysis. We made Zero Waste simpler for clients to achieve, even in 3 steps. Our push to green NYC hotels has continued to make a big impact. We stepped up efforts to help clients deal with organics, our resources are now featured in the Further With Food hub and more. We provided input into the AIANY/Center for Architecture’s Zero Waste Design Guidelines to encourage building design that facilitates recycling and waste diversion. THANK YOU for working with us to achieve all this and more in 2017. Every action counts. We are all in this together.